Charities should try to address low public confidence in the sector by being more transparent about the impact they have, according to a new campaign. 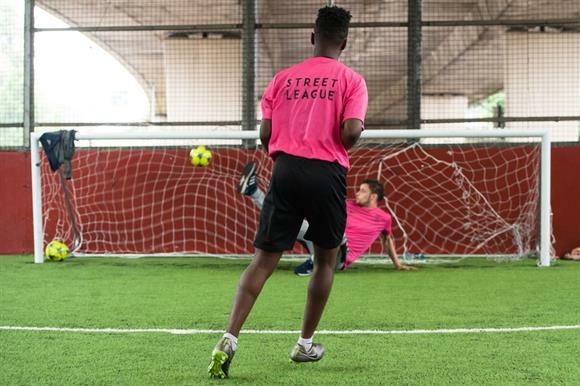 The charity Street League, which tries to tackle youth unemployment through sport, has today launched its Call for Clarity campaign to share more data about impact, which it believes will help rectify a loss of confidence in the sector as a result of recent controversies. There were a number of high-profile scandals in the charity sector last year, including the collapse of Kids Company and media criticism of charity fundraising practices. The most recent Charity Commission survey on public trust in charities showed it was at its lowest levels since monitoring began in 2005. The Call for Clarity campaign will support three "golden rules" for transparent reporting: never over-claim what a charity does; ensure all outcomes are auditable; and provide absolute numbers to support any percentages quoted by a charity. As an example of greater transparency, Street League’s annual report, which was published last week, provides details of 109 young people the charity was unable to help, as well as the 1,281 who did benefit. The campaign echoes a new code for sports governance released by Sport England, which funds Street League. The code says that organisations need to be transparent and accountable, including about their impact, to secure central government funding. Matt Stevenson-Dodd, chief executive of Street League, said that charities should operate as sustainable and accountable businesses if they expected to receive funding from government or the private sector. "We’ve seen over recent years the collapse of high-profile charities like Kids Company that have seemingly been unable to accurately report their impact," he said. "This ultimately means that many beneficiaries have had their support networks taken away. We cannot allow that to happen. "Charity work is difficult by its very nature, and if we are truly working with those in most need we need to be honest that it doesn’t always work. We need to learn when we don’t get it right and use that to improve what we are doing."